Chairs are intended to keep you comfy for hours while you work or eat or use it for reading. 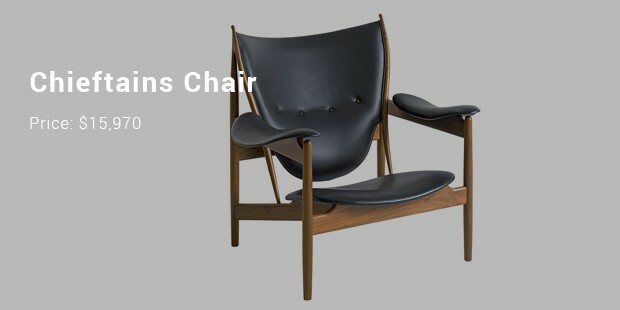 Purchasing a chair seems like a simple pleasure. 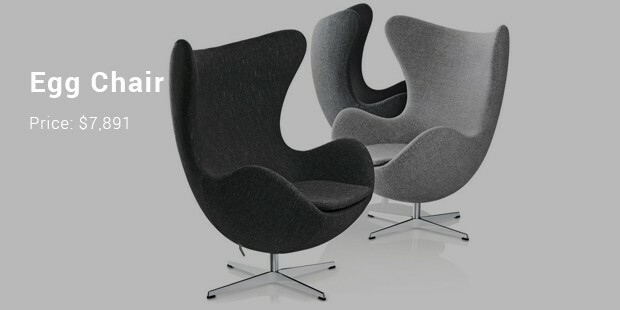 On the other hand, each of us have a distinctive body shape, and therefore, finding the right chair can be a tough job. You have to keep in mind the ergonomics involved. You have to be absolutely certain that it suits the contours of your body for supremecoziness. 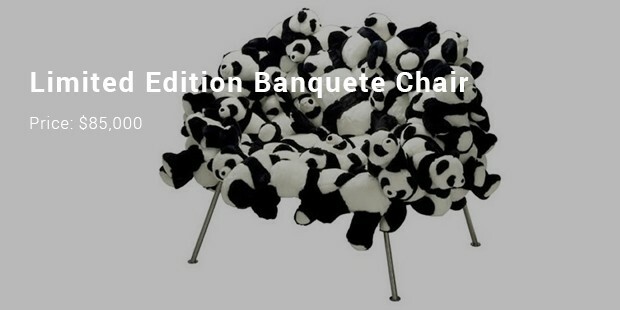 This time around, we are going to present you with the most expensive chairs in the world. Some of these come with a bewildering price tag. 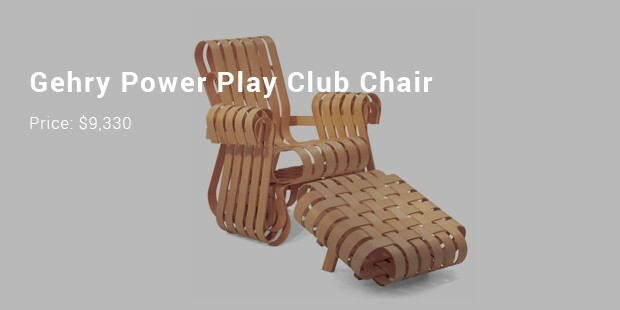 This chair which tops our list of the most expensive was designed in 1971 by Eileen Gray. Before being sold for a staggering $27.8 million, The Dragons Chair, was stationed at Christie’s auction house. It was bought over by Yves Saint Laurent, who owns a fashion brand of the same name. Second on the list is the AreslineXten. It was designed by Pininfarina, a car stylist. 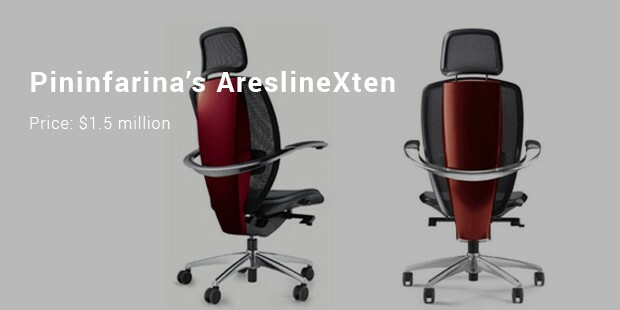 It is possibly the most relaxing office chair around the globe. It marks a Technogel design. This designlets the cushion to obey to the shape of your body. It comes in 4 colors. 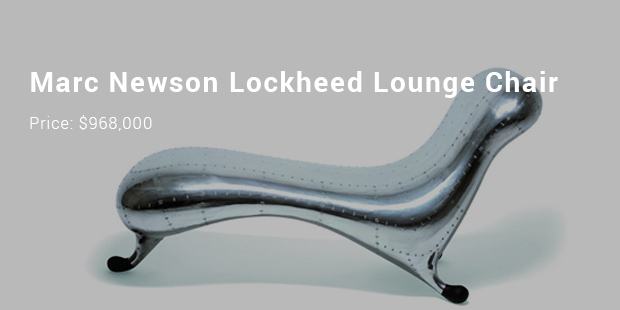 This Lounge was created by Marc Newson, an Australian designer. He has reveled in global recognition and reputation since 1985. 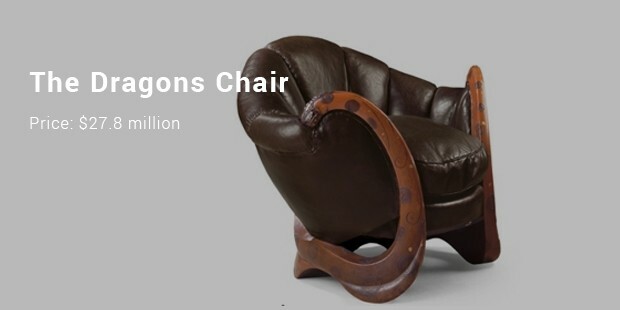 At a stunning price of $968,000, the Marc Newson Lockheed Lounge Chair was auctioned at Sotheby’s. It stands on 3 legs that smoothly incline from the normal curves guarded with rubber. 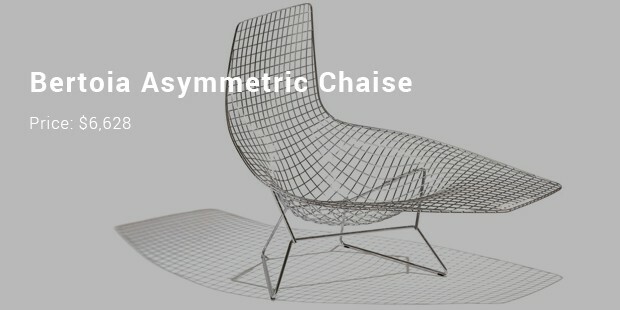 This is a mesmerizing and astounding list on the most expensive chairs in the world. We most of the time regard a chair as a daily furniture. These chairs on the list shift our perception of these important articles. These are not just exorbitantly prized but are very comfortable too.